Ayana Williams currently holds the 2018 Guinness World Record for the longest nails in the world. It's such a schlep to constantly groom yourself, so how about not cutting your nails ever again? Meet Texas born Ayana Williams who started growing her nails after one of her friends challenged her to grow them longer than three inches. It's now more than 20 years later, and she hasn't cut her nails since that time. 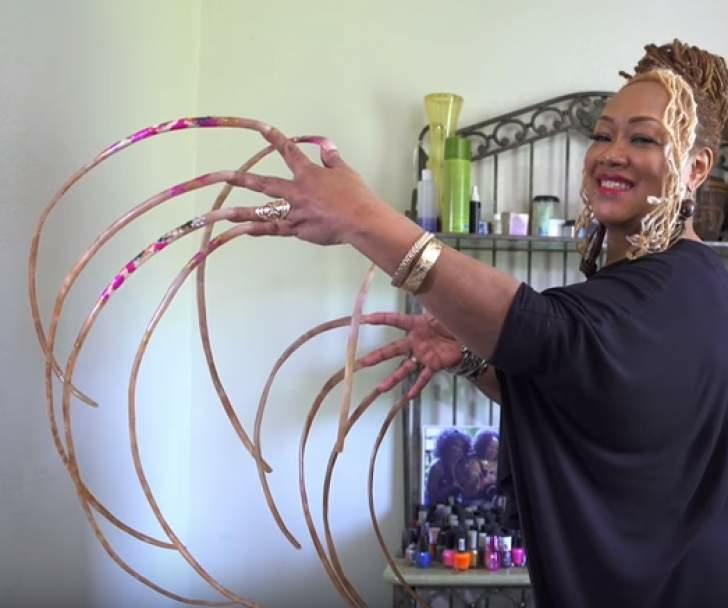 She currently holds the 2018 Guinness World Record for the longest nails in the world. Williams, a nail technician herself explains how difficult it is for her to do the mundane things other people do as a matter of course. One thing that is rather challenging is trying to pull up her pants; the rest she manages at her own pace. "It takes me longer than any other human being because of the length of my nails," Williams told Guinness. Caring for her manual glory has become a full time job. Her daily tools consist of a special nail brush and antibacterial soap. She also regularly makes use of a nail hardener with a layer of acrylic to keep them strong. Williams told Guinness that it takes her an entire week and two bottles of polish to keep her nails fierce. Guinness measured her total nail length at 576.4 cm, with her thumbnails being the longest, measuring 50.8 cm and 66.04 cm. To avoid breakage, the nail technician stays away from doing dishes or ordinary household chores. Her nails even have a special pillow to rest on at night.